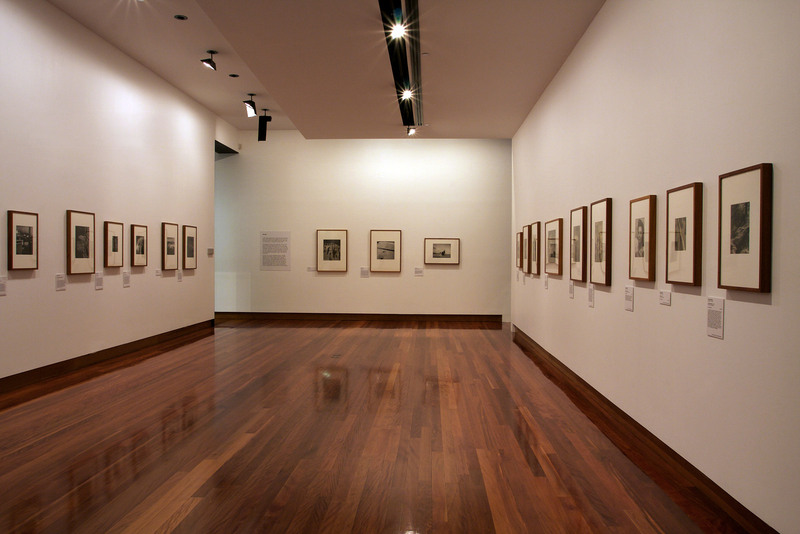 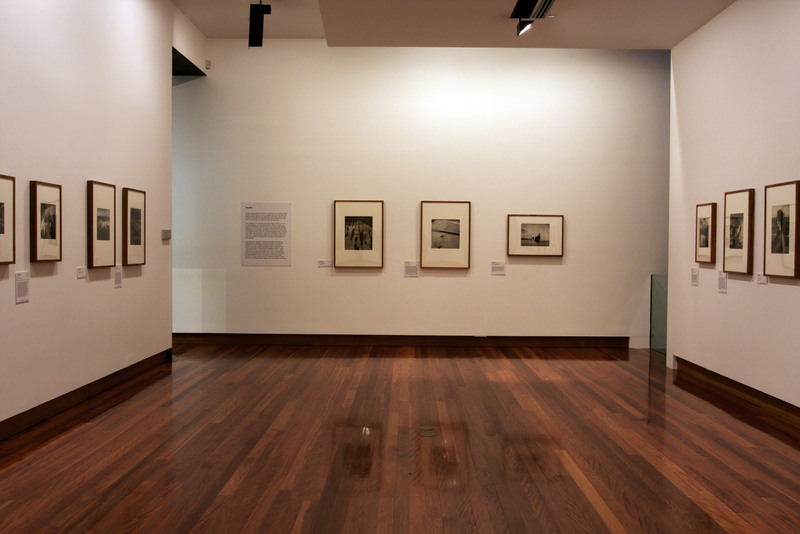 A good friend of mine, who should know what she is talking about, observed that you cannot look at Dupain’s photographs of Paris without first looking at his commissioned photographs of the then new Embassy of Australia. 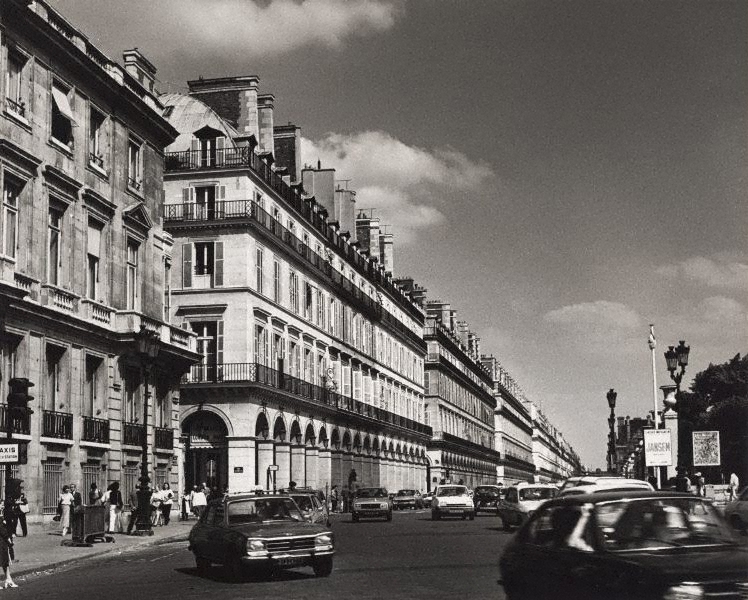 Unfortunately, I could only find one photograph online to show to you, Embassy of Australia, Paris, France (1978, below), but you get the idea. 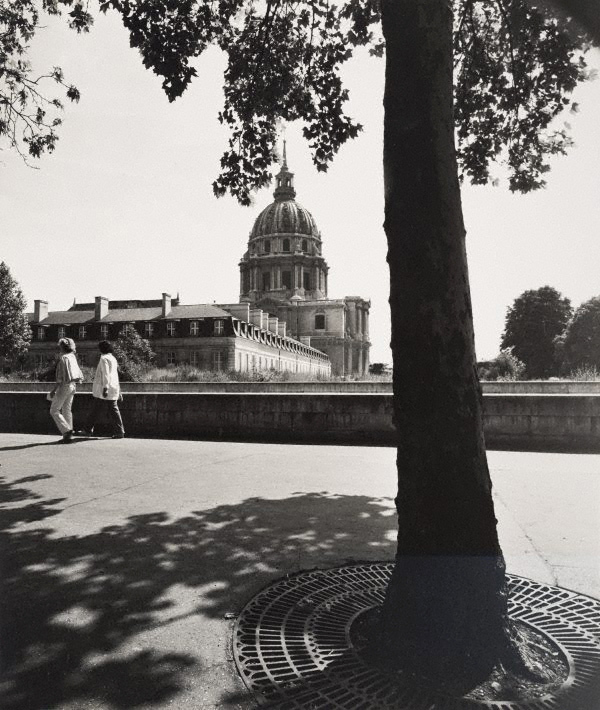 Dupain’s The Paris ‘private’ series were taken during a couple of days off that he had from the commissioned job. 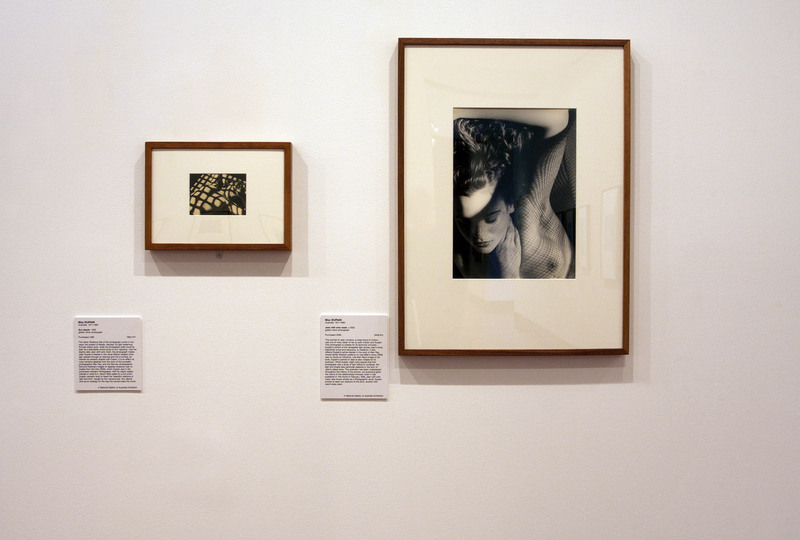 Basically they are tourist photographs, a record of things Dupain wanted to see in Paris on one of his few overseas trips. 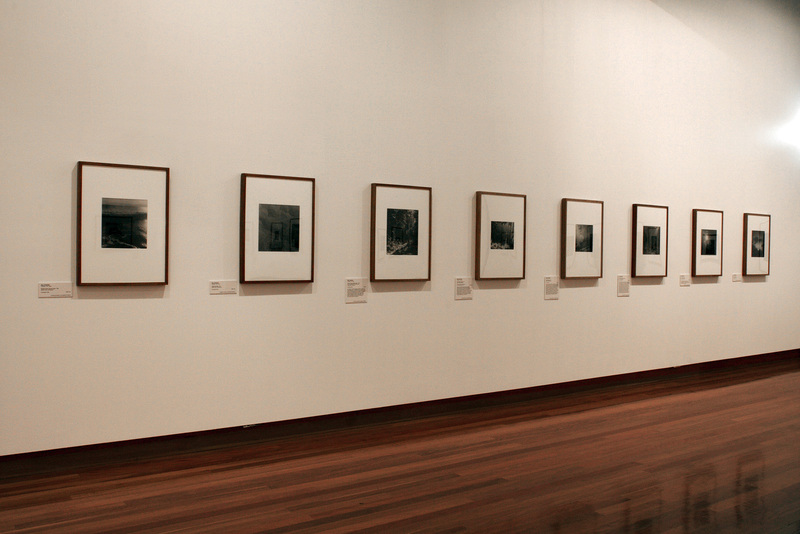 Most of them are disappointing images, serviceable but disappointing. 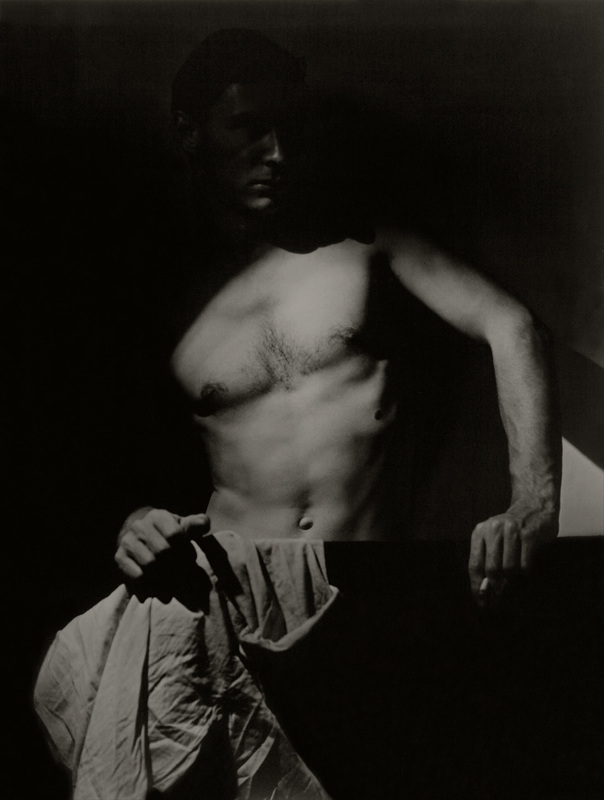 Having studied Eugène Atget I expected more from Dupain. 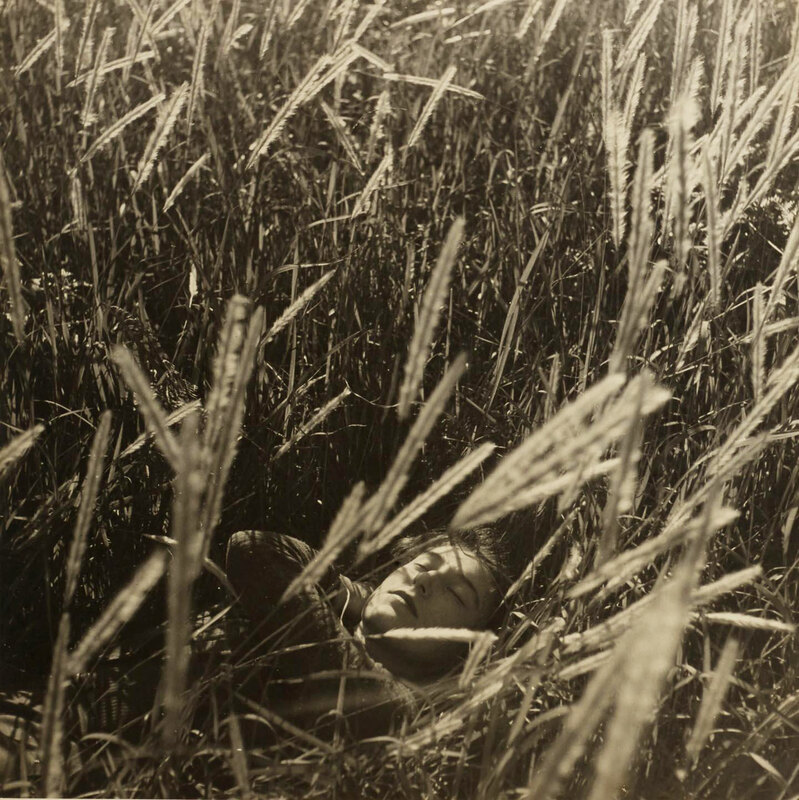 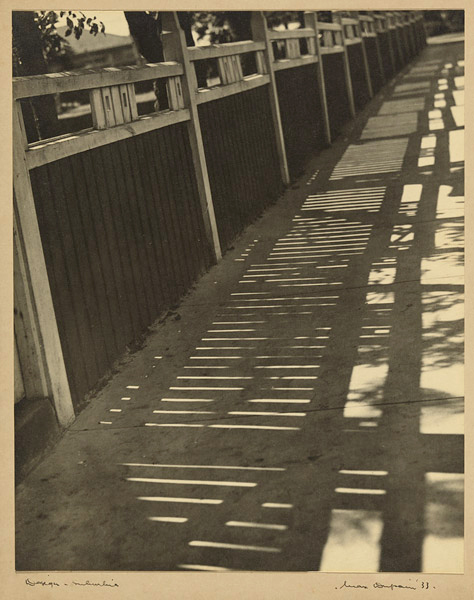 In these photographs he tends to shoot obliquely into the object of his attention, directing the lead in and vanishing point(s) within the image. 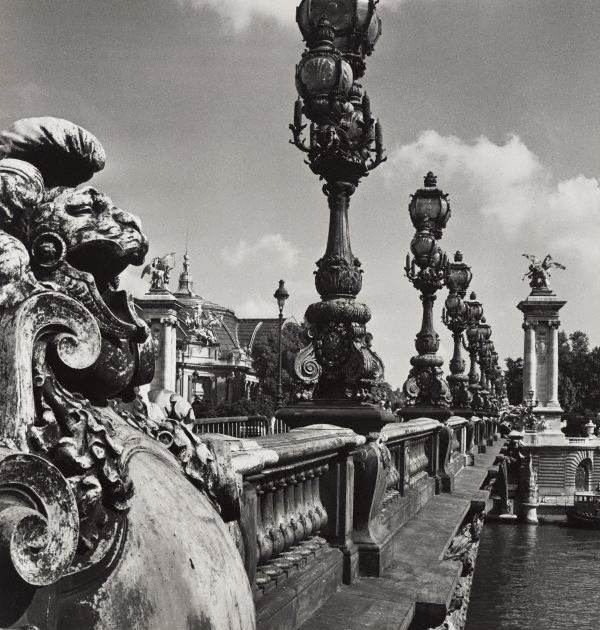 For example, in Untitled (the balustrade of Pont Alexandre III) and Untitled (Pont Alexandre III with sculptural balustrade) (both 1978, below), Dupain allows the bridge parapet to lead the eye into the image, while the vanishing point is positioned at far right. 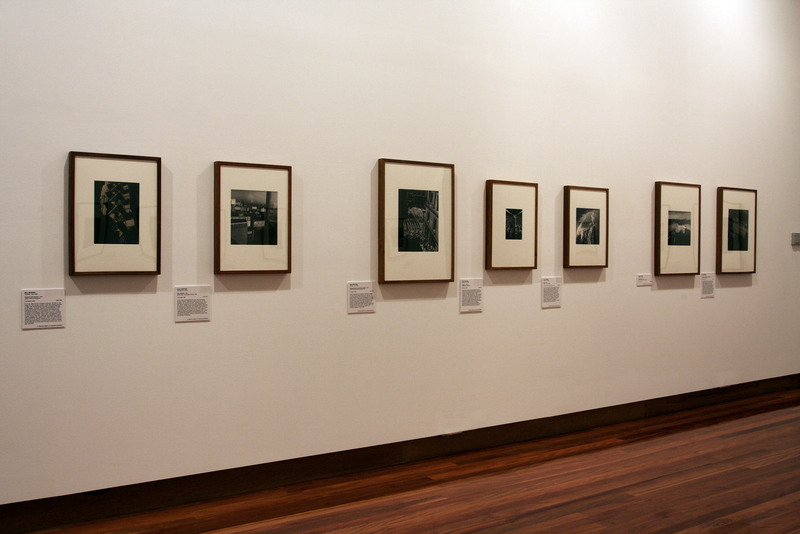 Neither are very successful as formal compositions. 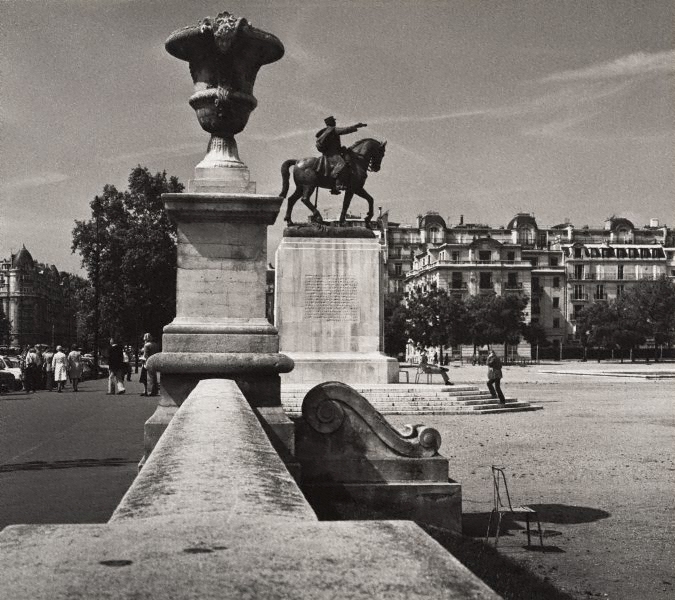 The same can be said of Untitled (statue of Maréchal Joffre, Place Joffre, Champ-de-Mars) (1978, below) with the vanishing point this time at the left of the image. 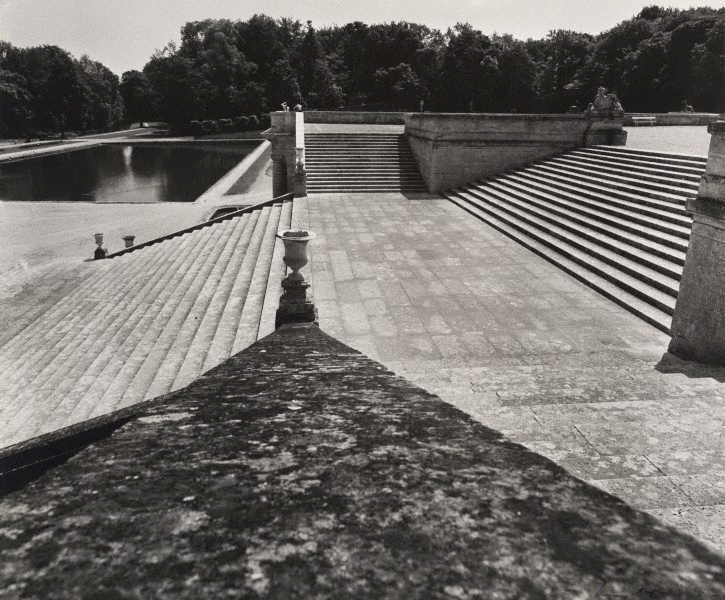 More successul is Dupains’s Untitled (staircase to the park, looking toward Bassin des Serruriers, Domaine de Chantilly) (1978, below) with its foreshortened out of focus entrance, geometric planes and multiple exit points – but then he goes and spoils it with the simplistic Untitled (staircase and statue of Anne de Montmorency 1886 by Paul Dubois, Domaine de Chantilly) (1978, below) taken at the same location. 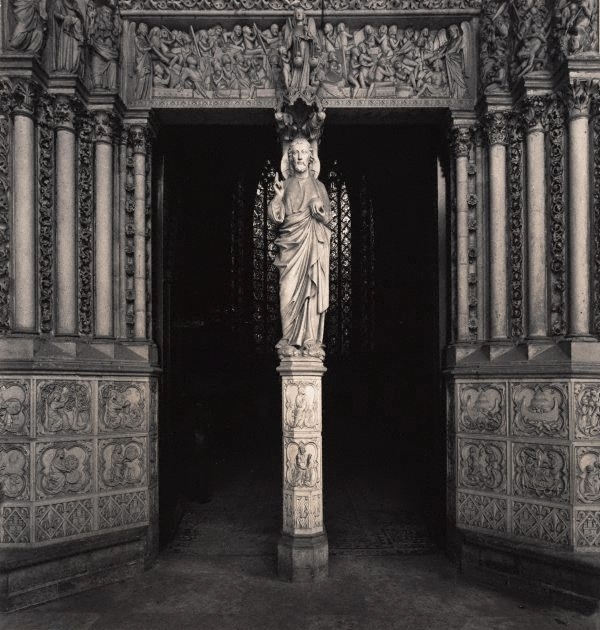 The best image from the series is undoubtedly Untitled (the statue of Christ at the portal of La Sainte-Chapelle) (1978, below) with its restrained and refined aesthetic. 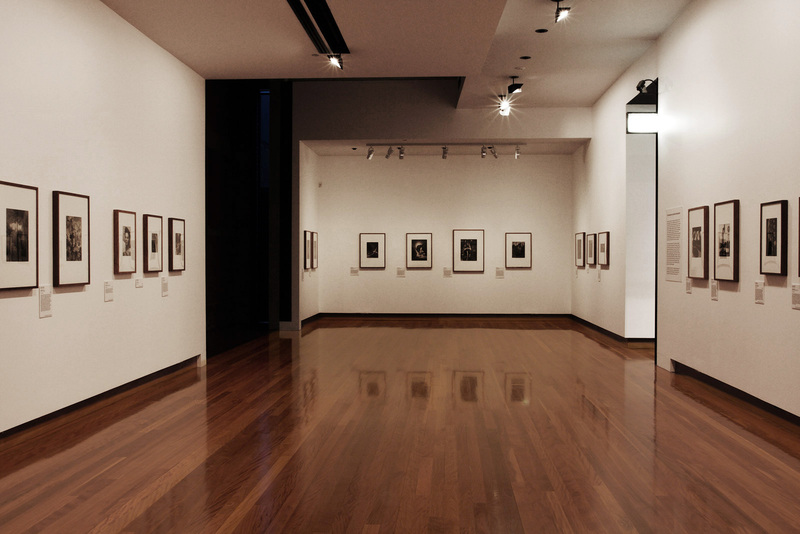 A beautiful image and a wondrous space. 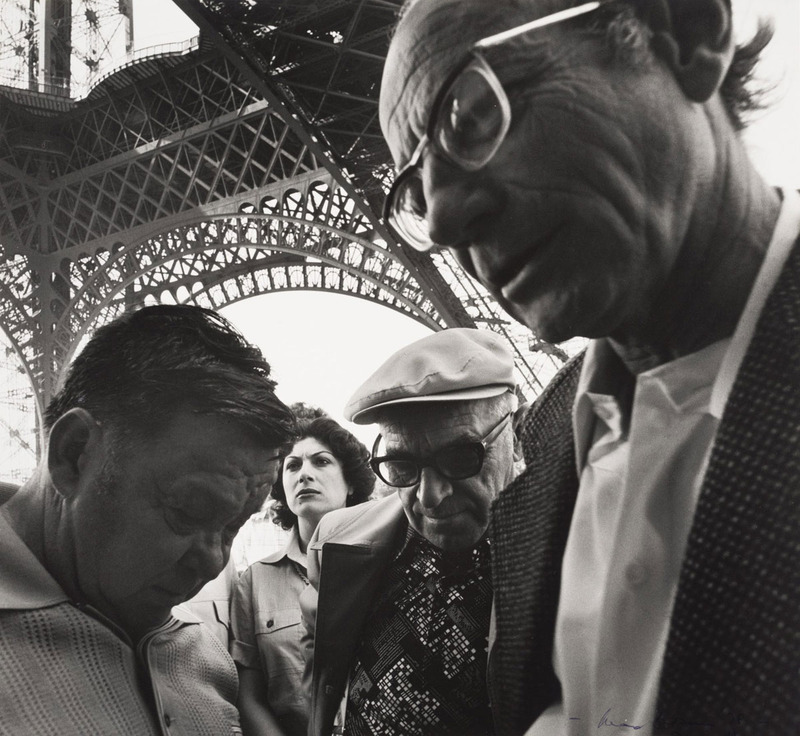 The photograph of the people at the Eiffel Tower is also a cracker. 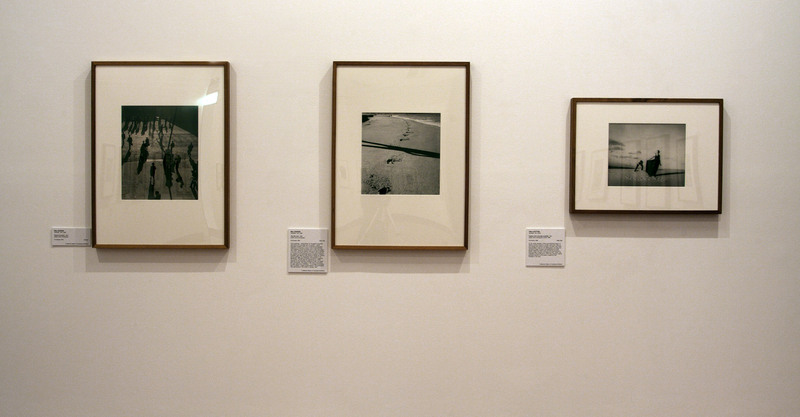 As I said at the beginning, these are tourist art photographs of Paris, but they could have been so much more. 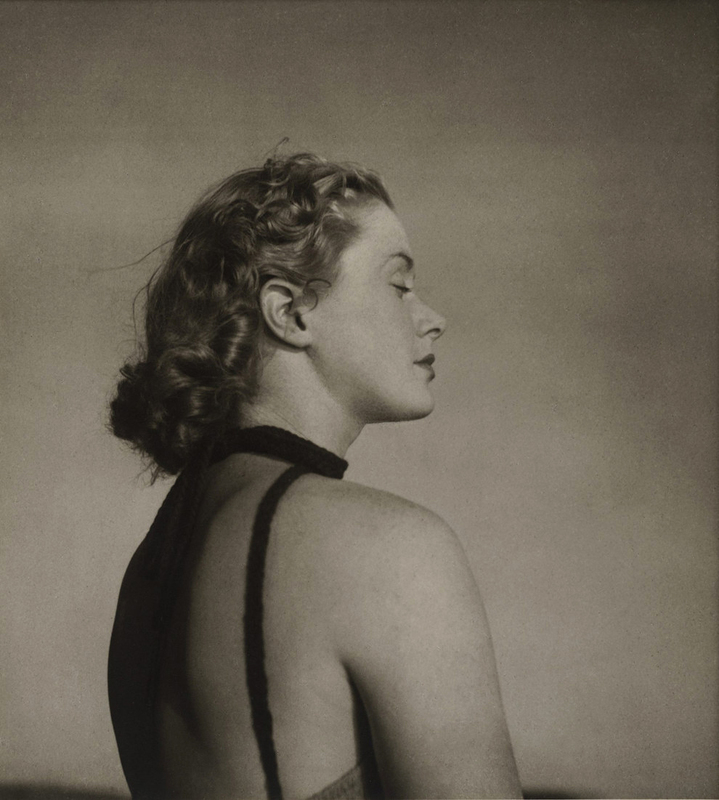 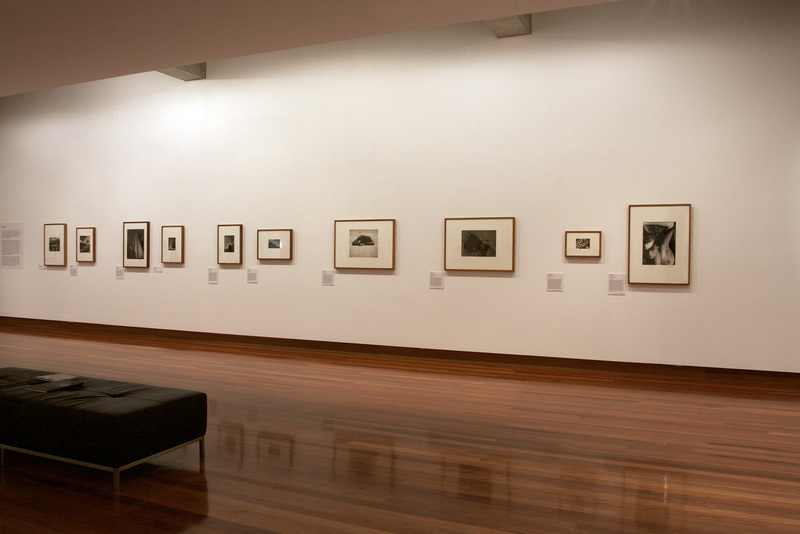 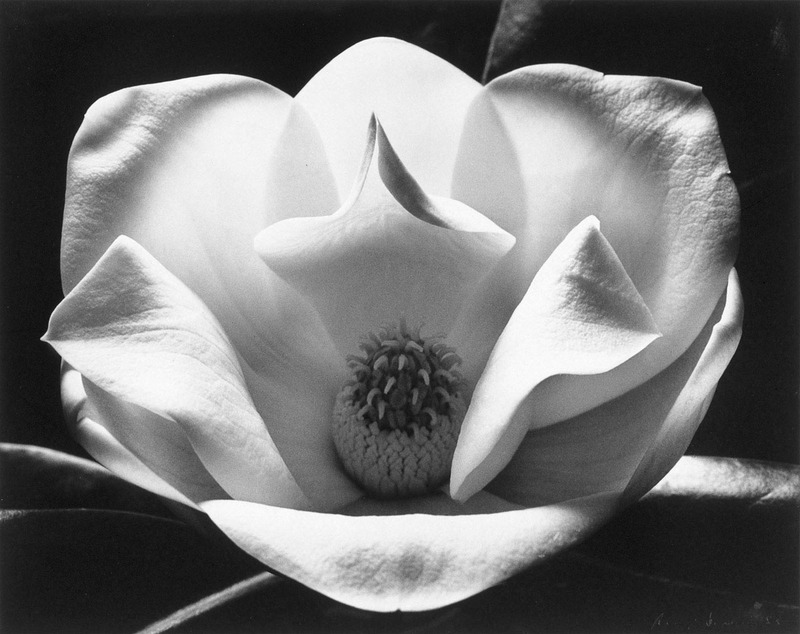 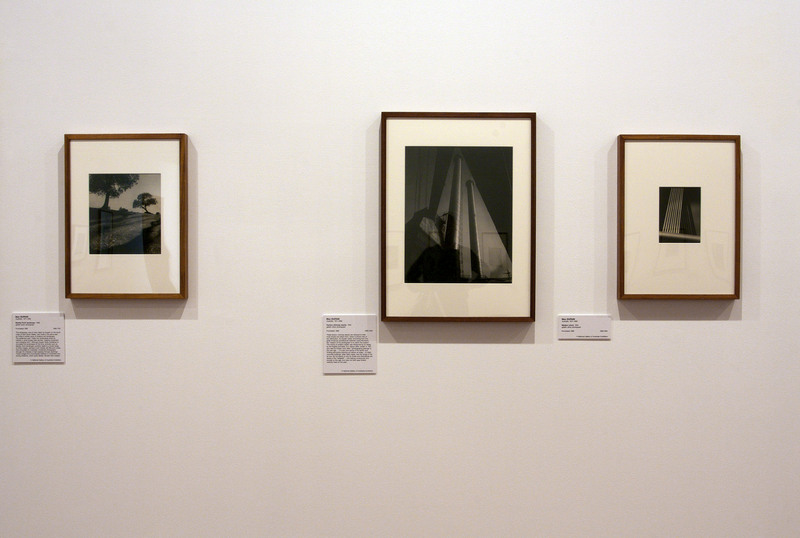 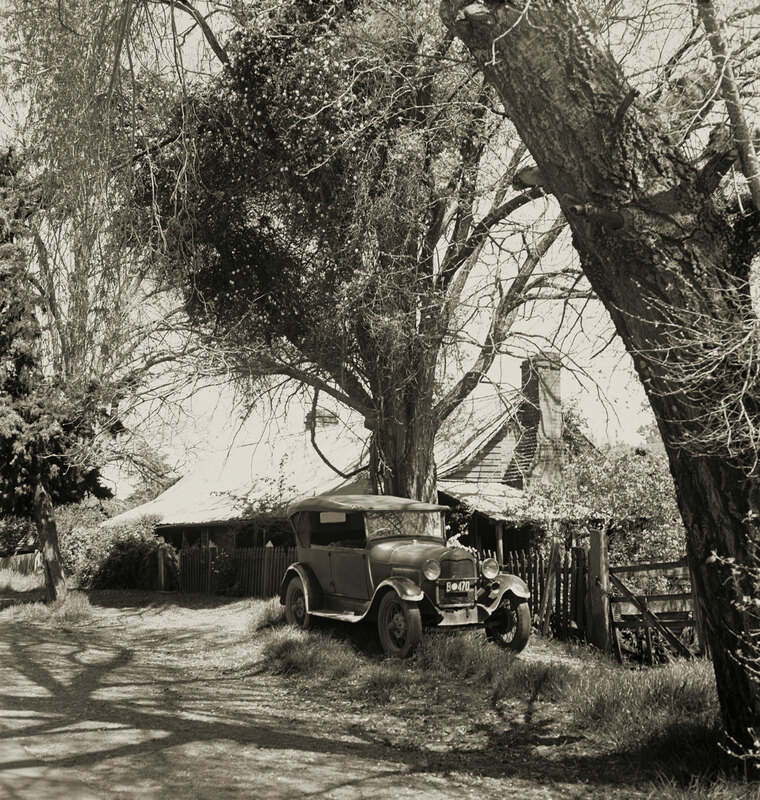 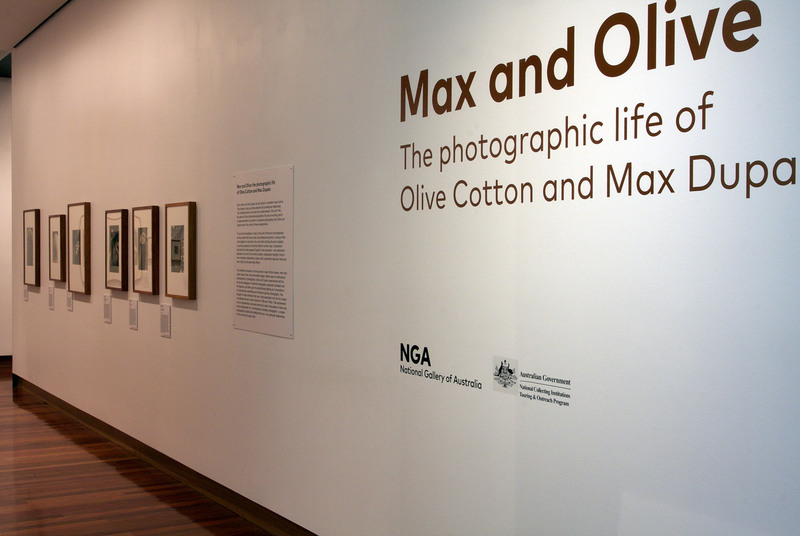 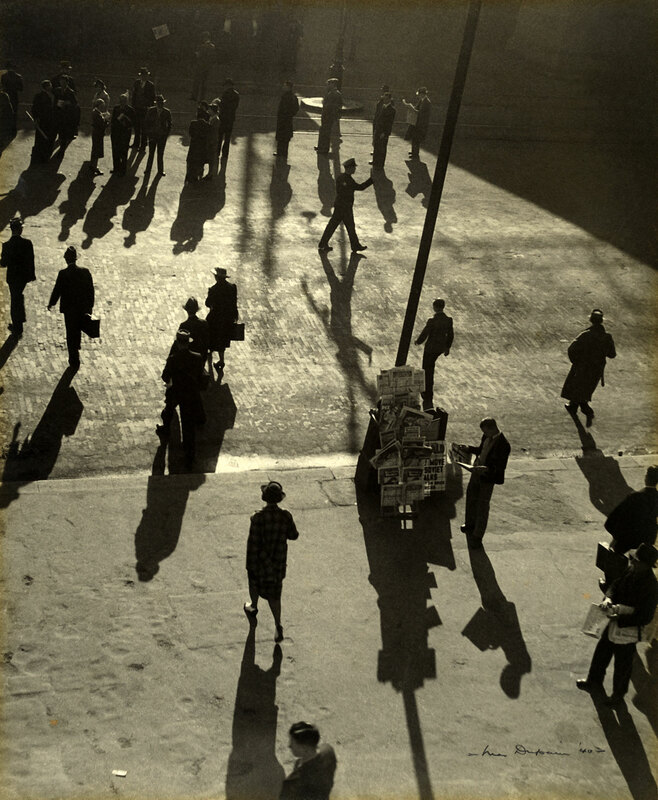 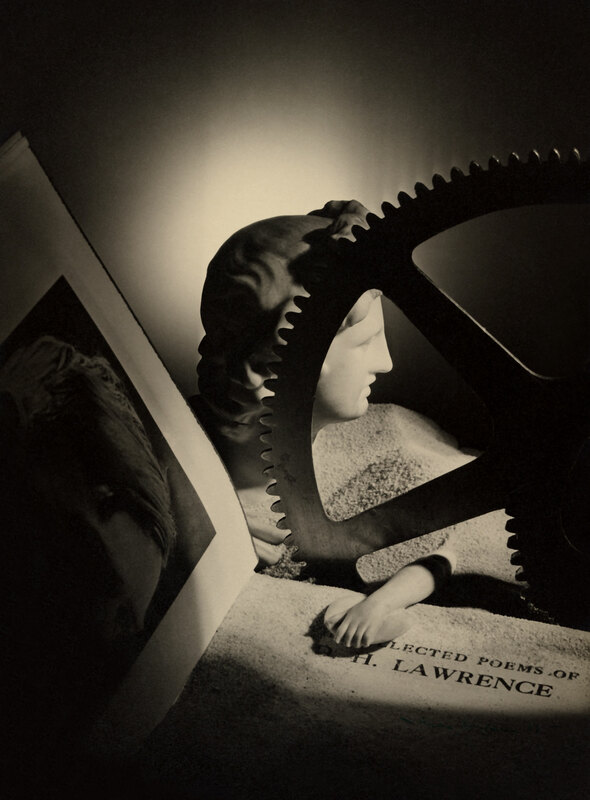 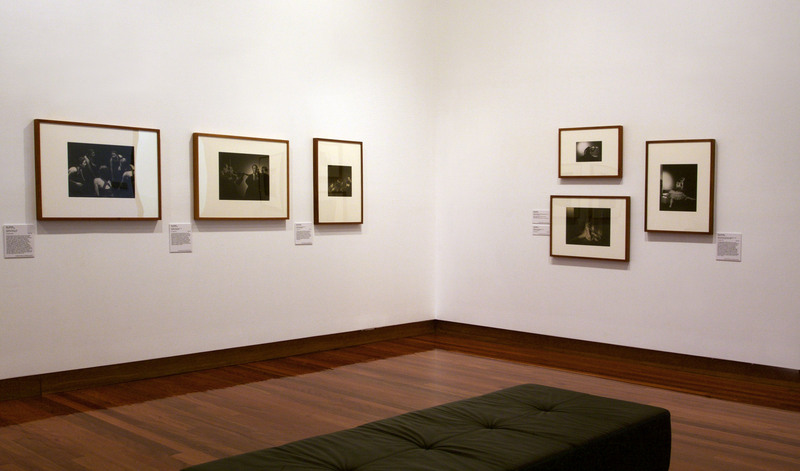 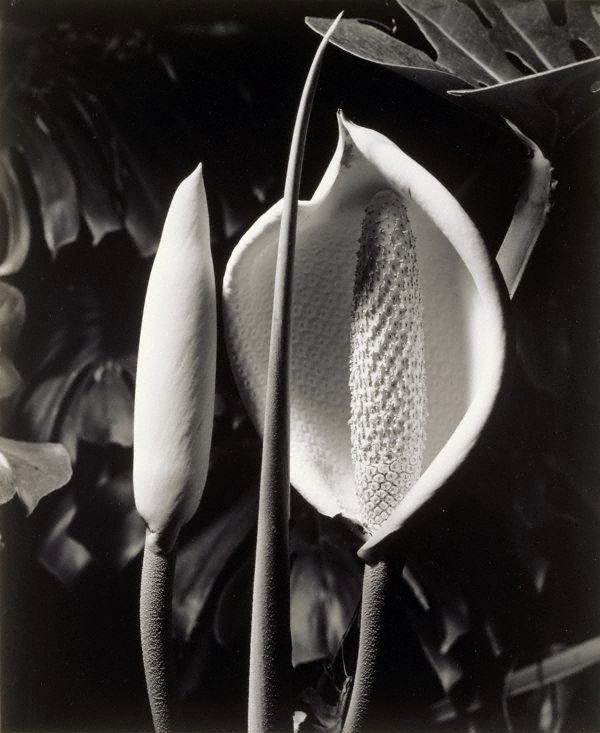 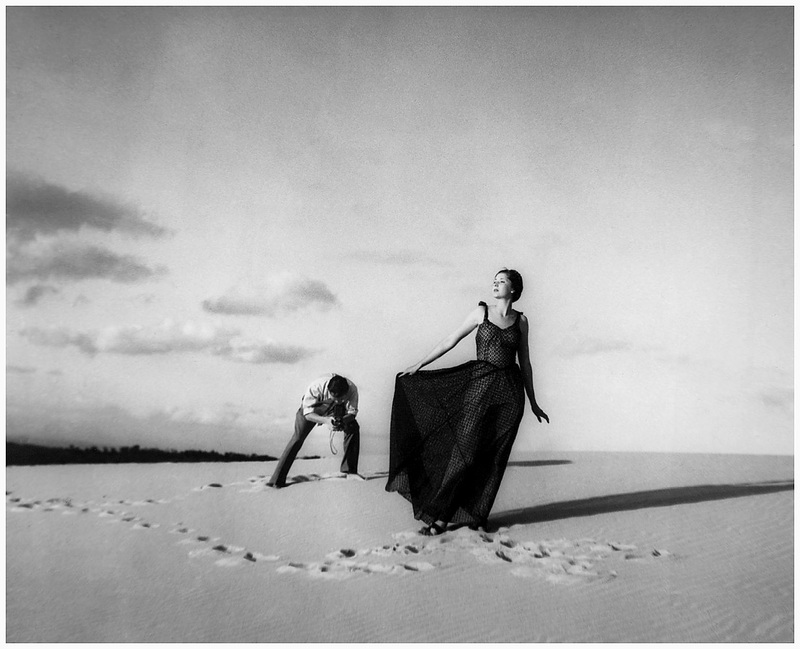 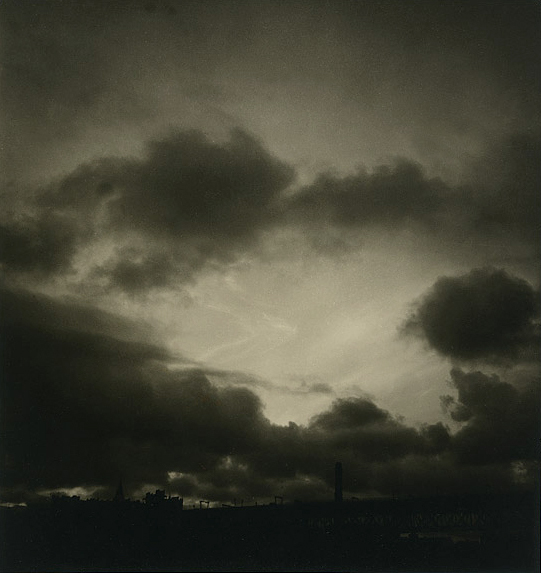 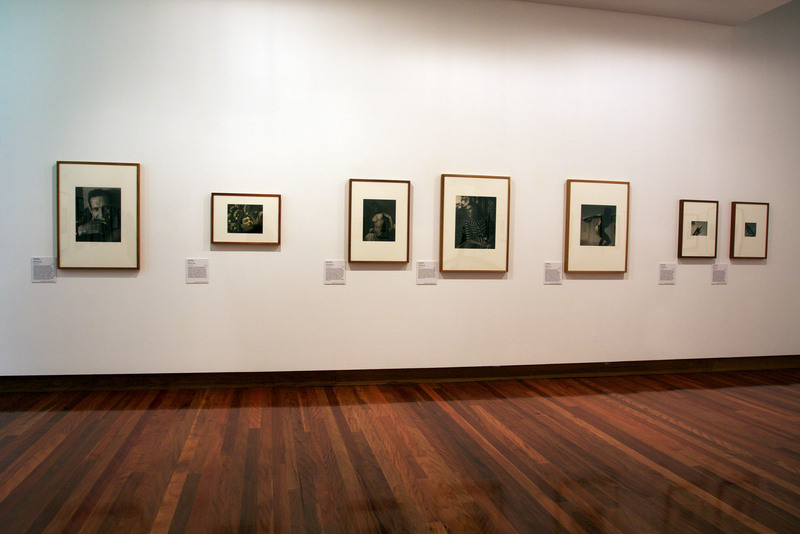 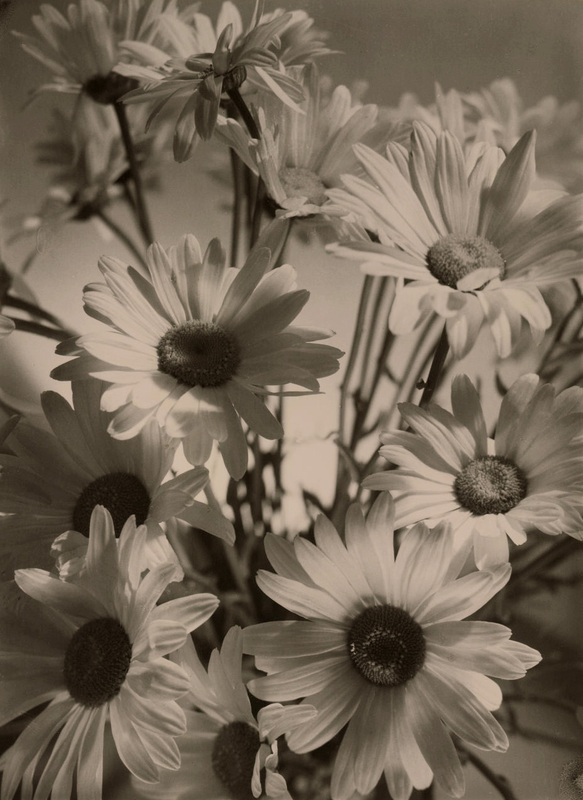 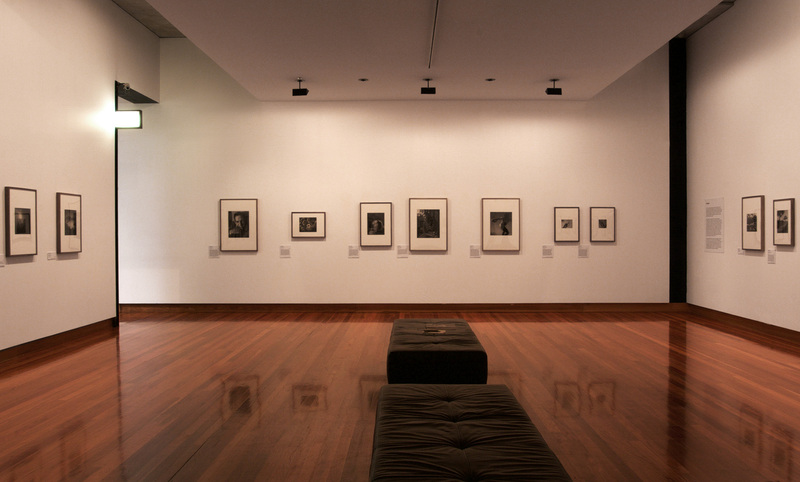 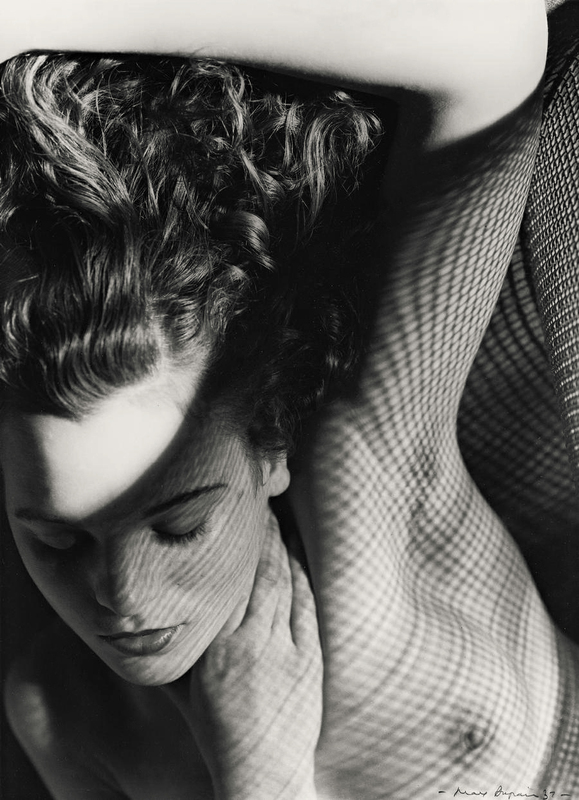 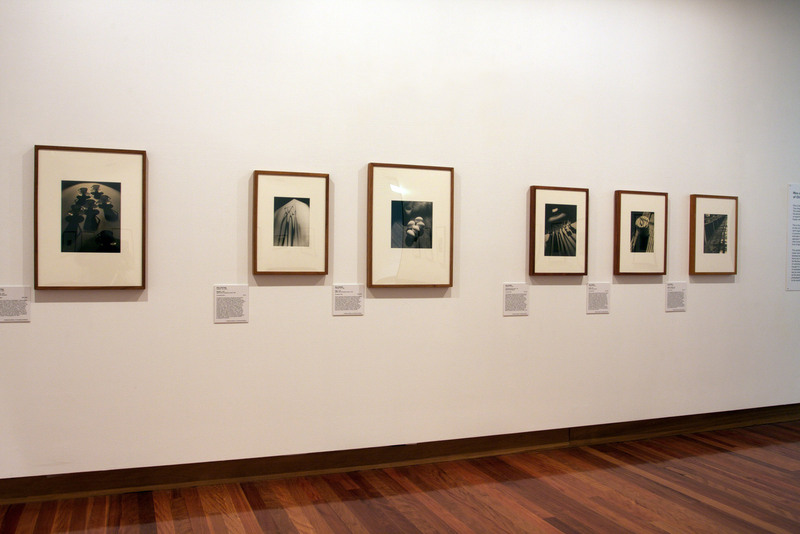 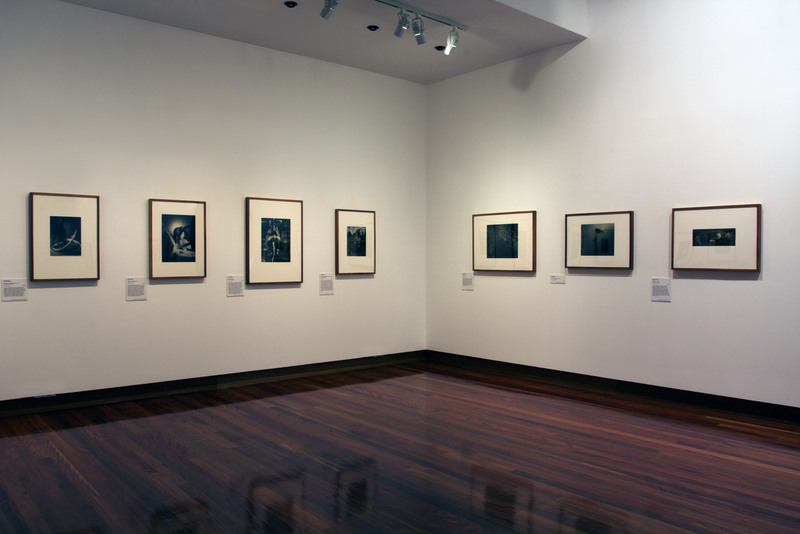 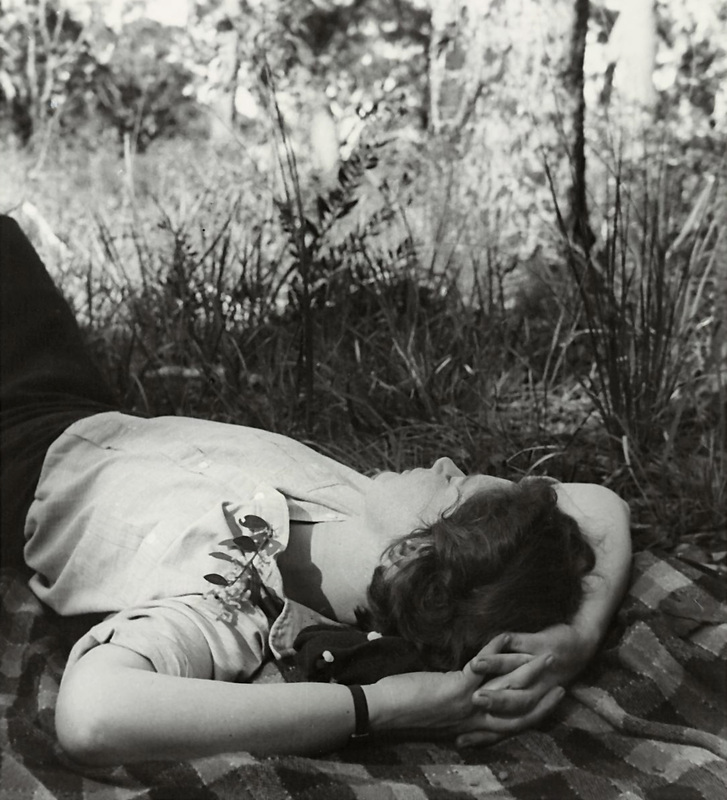 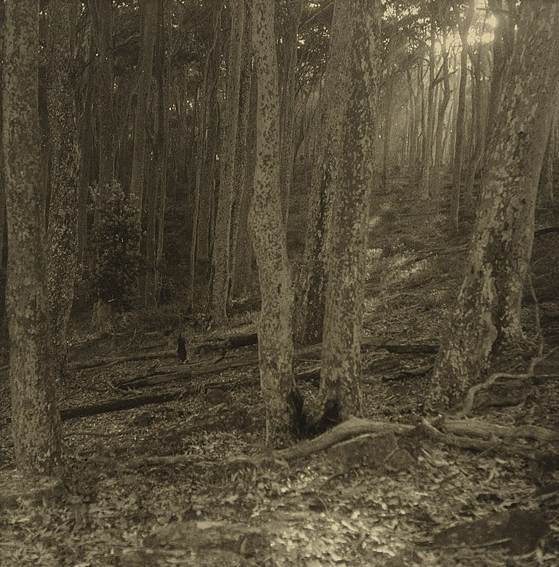 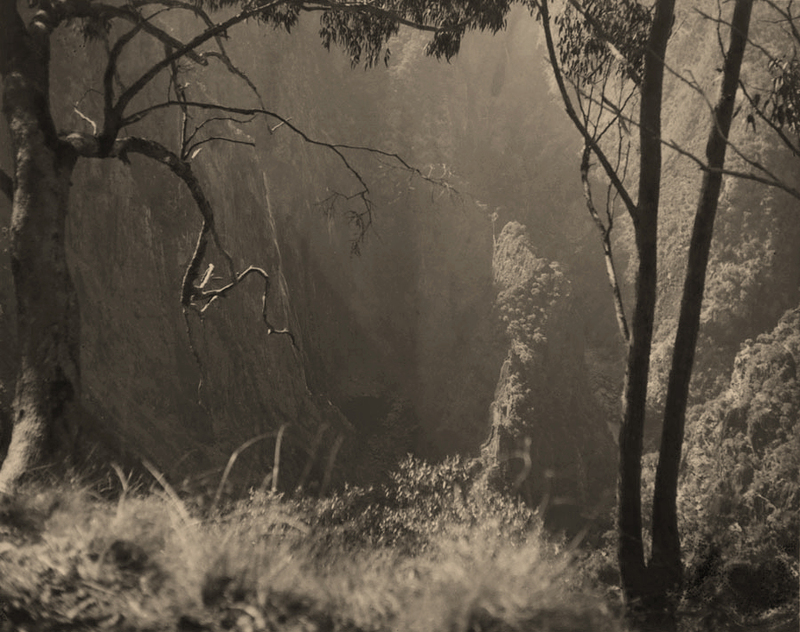 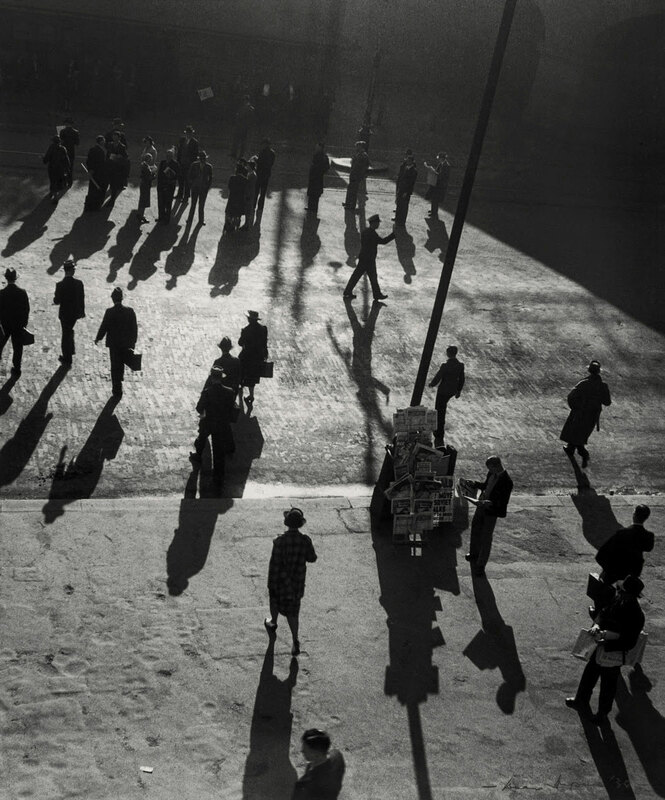 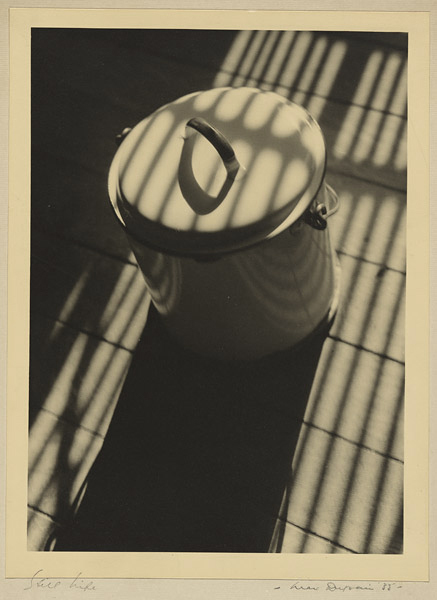 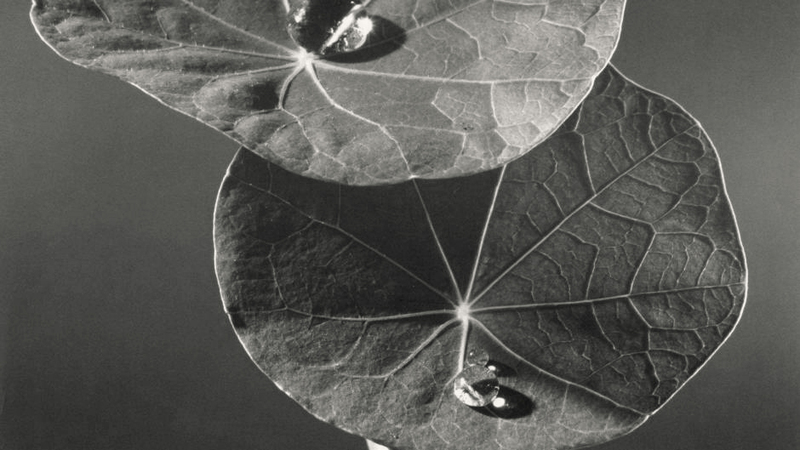 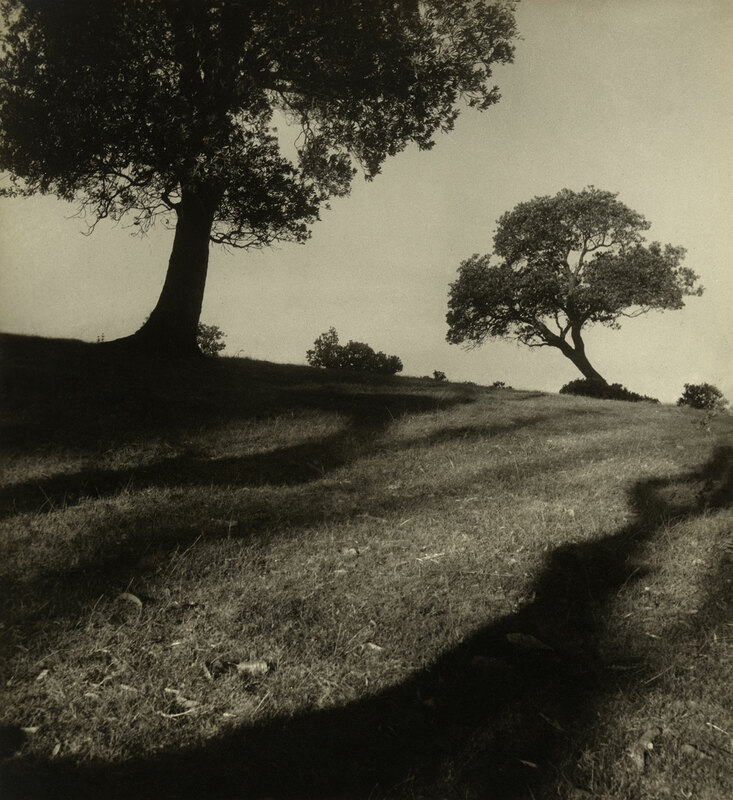 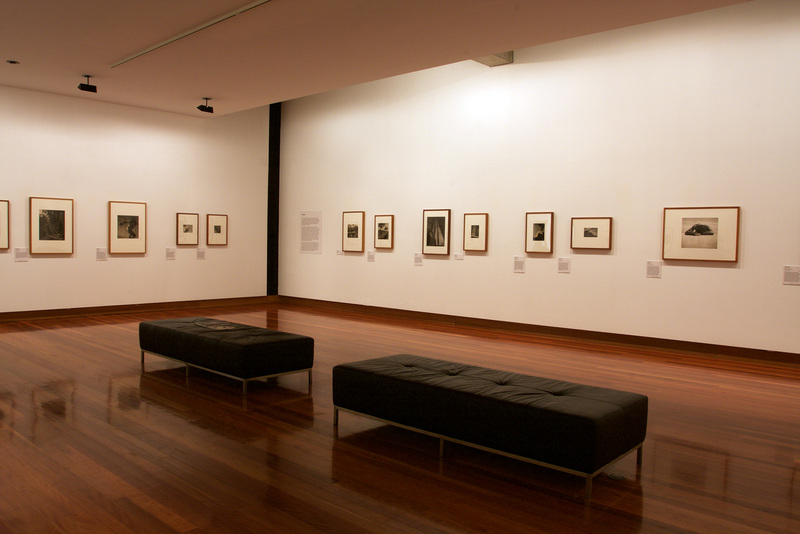 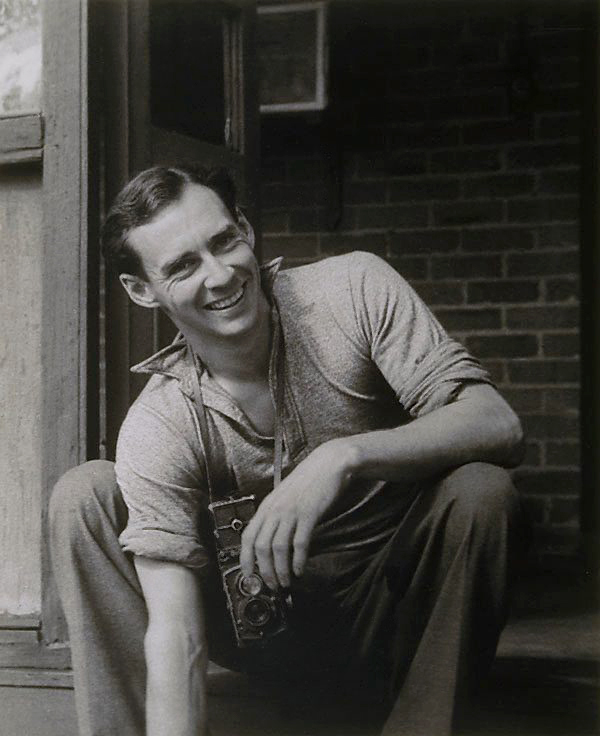 Max Dupain (1911-92) is one of the leading figures of 20th-century Australian photography. 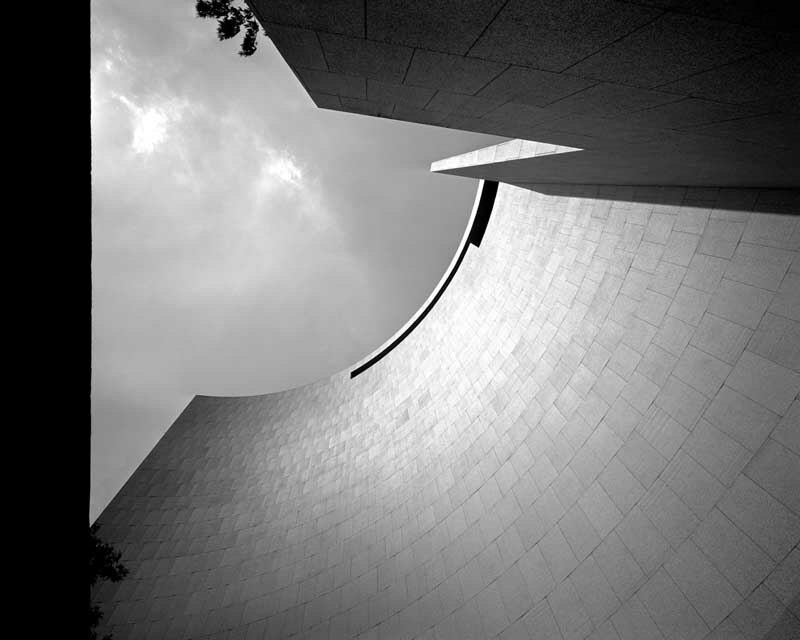 The group of 21 photographs in his Paris ‘private’ series was taken when he travelled to Paris in 1978 with architect Harry Seidler to photograph the Australian Embassy, designed by Seidler. 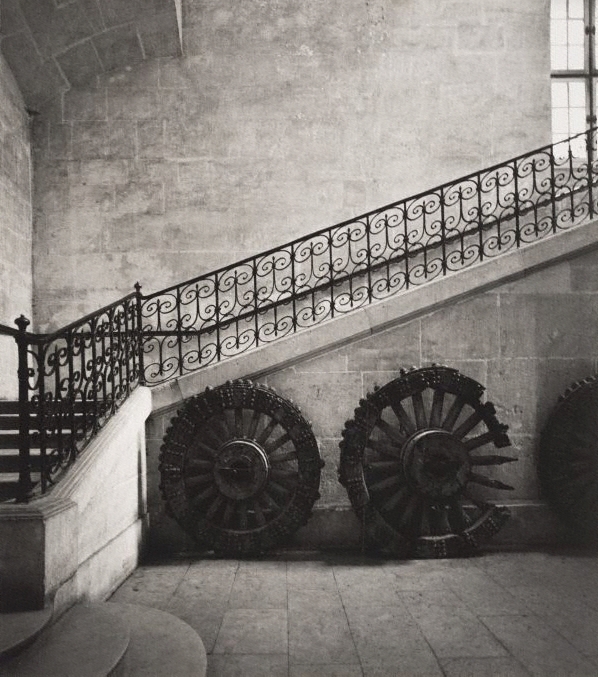 The series consists of transcendent photographs of Paris. 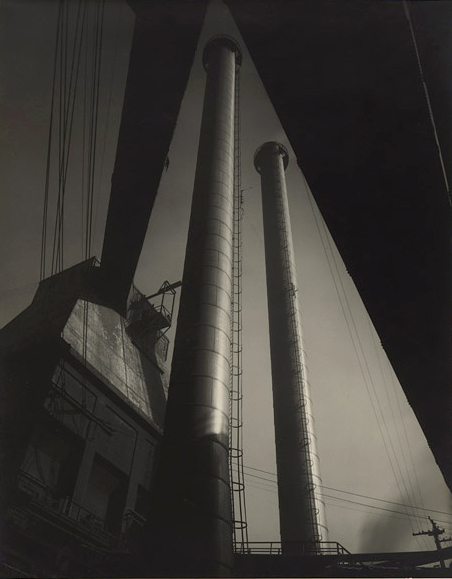 Dupain had studied the work of Eugène Atget, and there is a similar enigmatic atmosphere to be found in Dupain’s examination of the city. 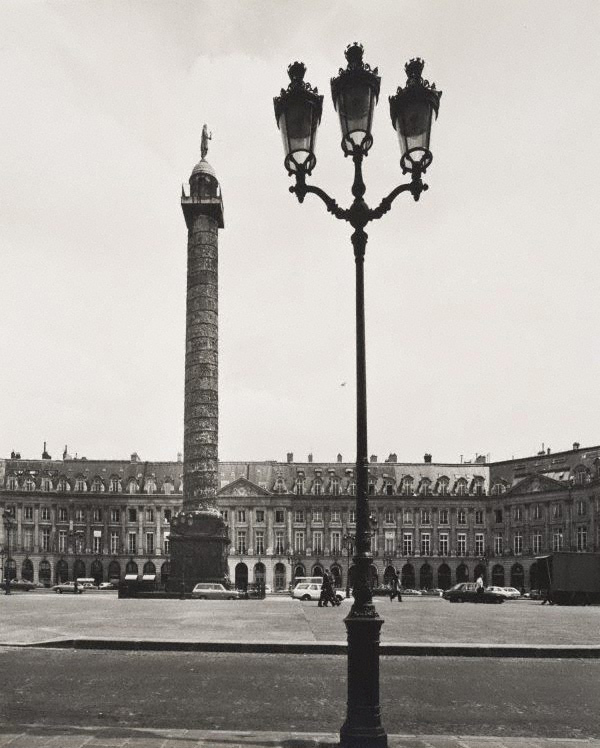 Primarily depicting 18th- to 19th-century landmarks such as the ornate Alexandre III bridge, the Grand Palais and Chantilly, this compilation offers a view of the city and its environs shaped by layers of history, mythology and art. 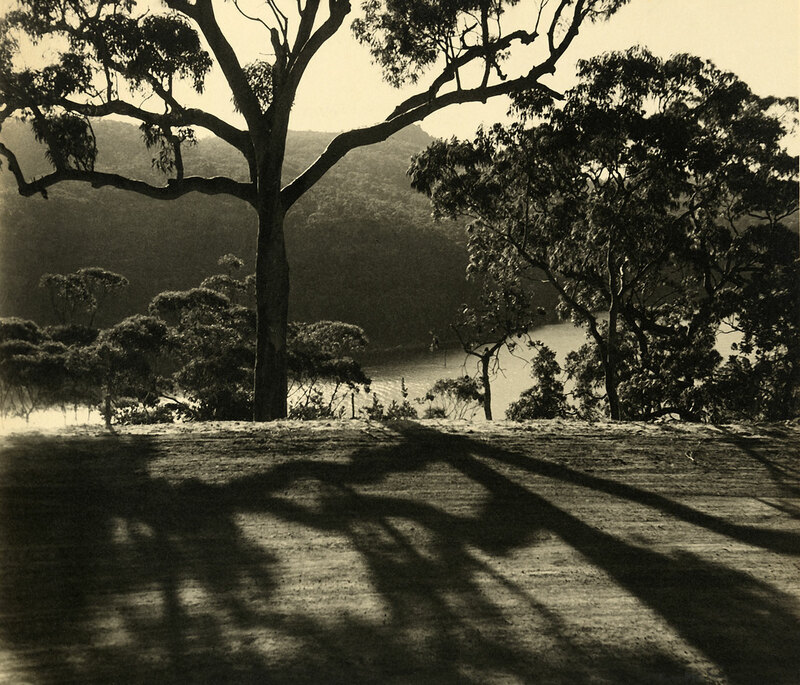 “I like to involve myself in, maybe, a small area geographically and work it out, as simple as that” said Max Dupain in a 1991 interview.1 During his lifetime the photographer visited only three countries outside of Australia. 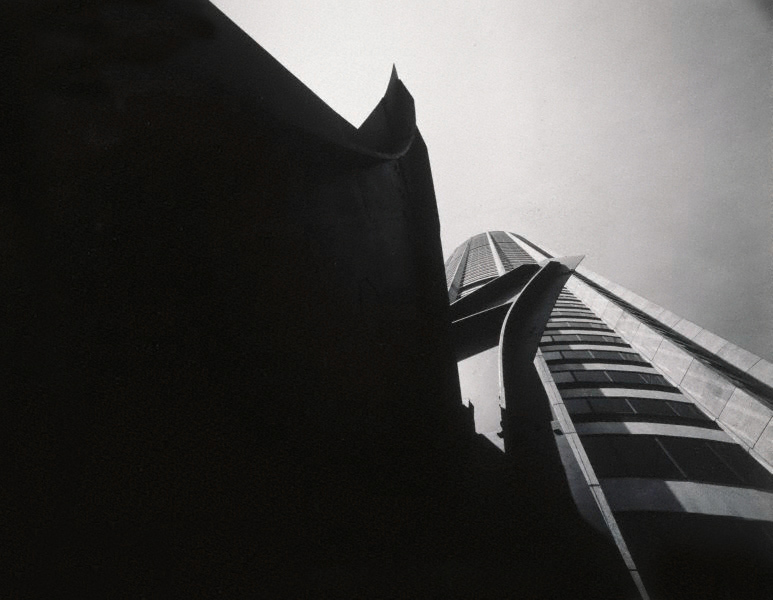 His 1978 trip to Paris was made together with architect Harry Seidler, whose newly built Australian embassy building Dupain was commissioned to document. 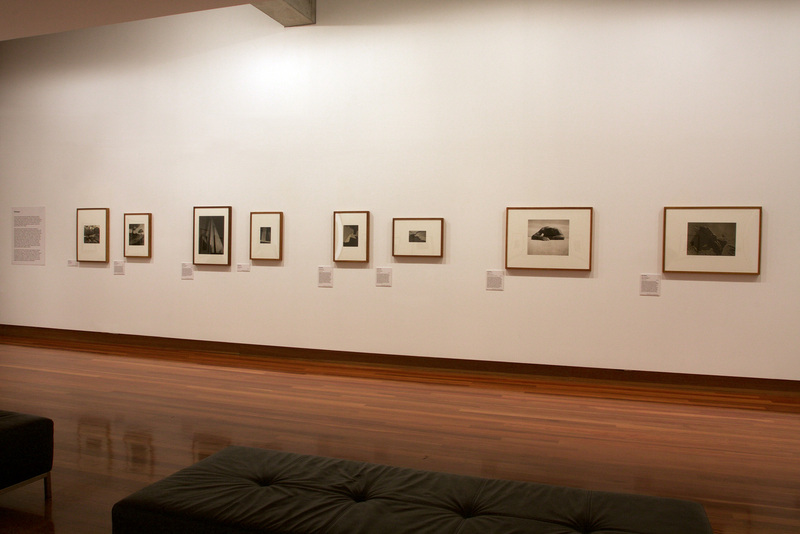 The long professional association between the architect and the photographer stretched back to the early 1950s, soon after Seidler’s arrival in Australia. 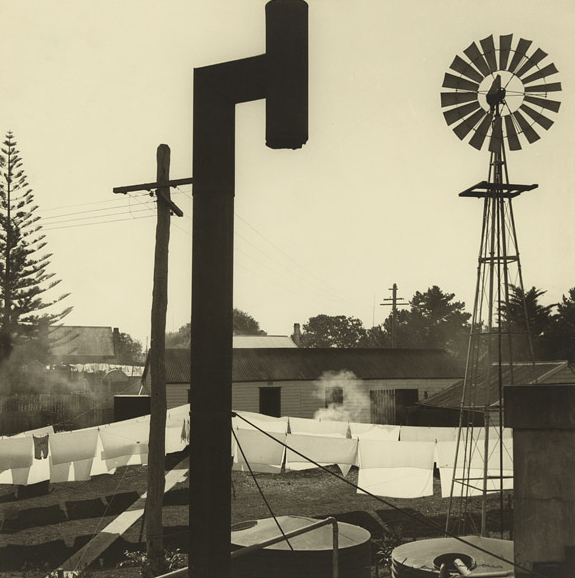 Dupain, through his expressive architectural photographs, was closely involved in popularising the modernist aesthetic espoused by Seidler’s starkly functional buildings. 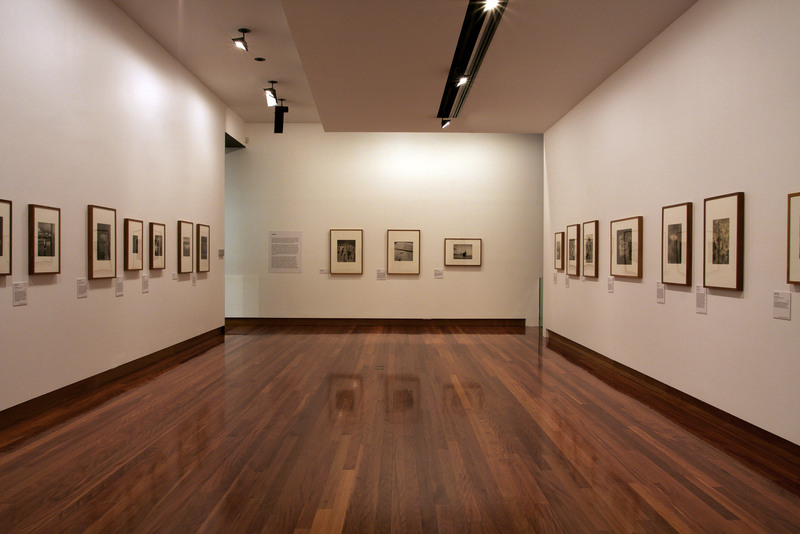 The Parisian images vary from pure architectural studies to compositions with an almost literary scope. 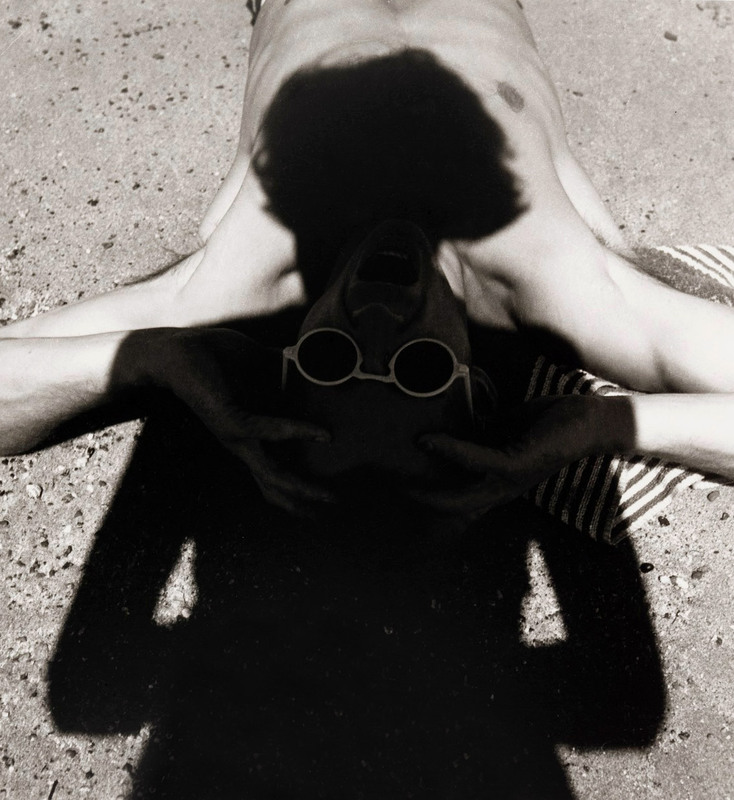 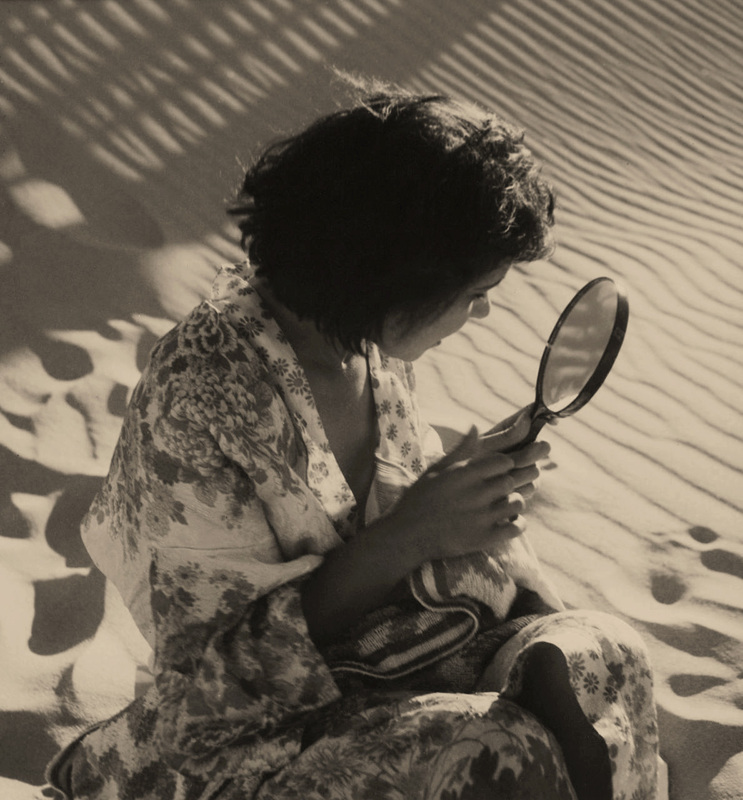 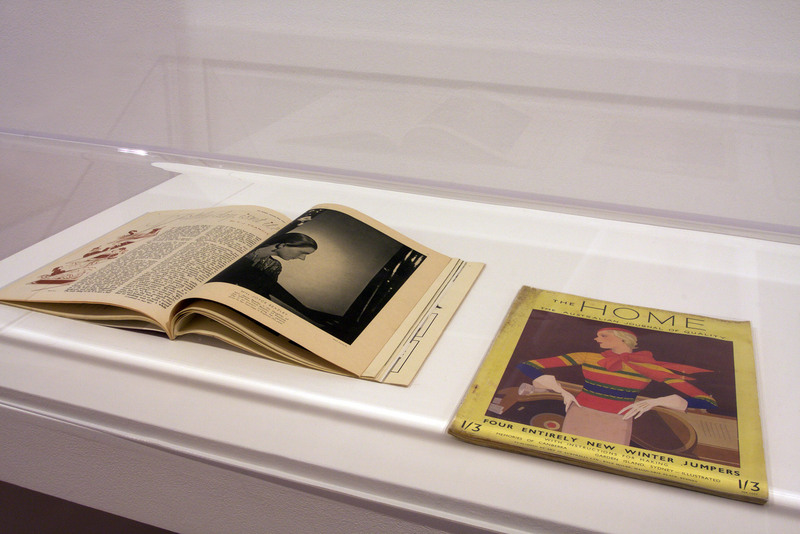 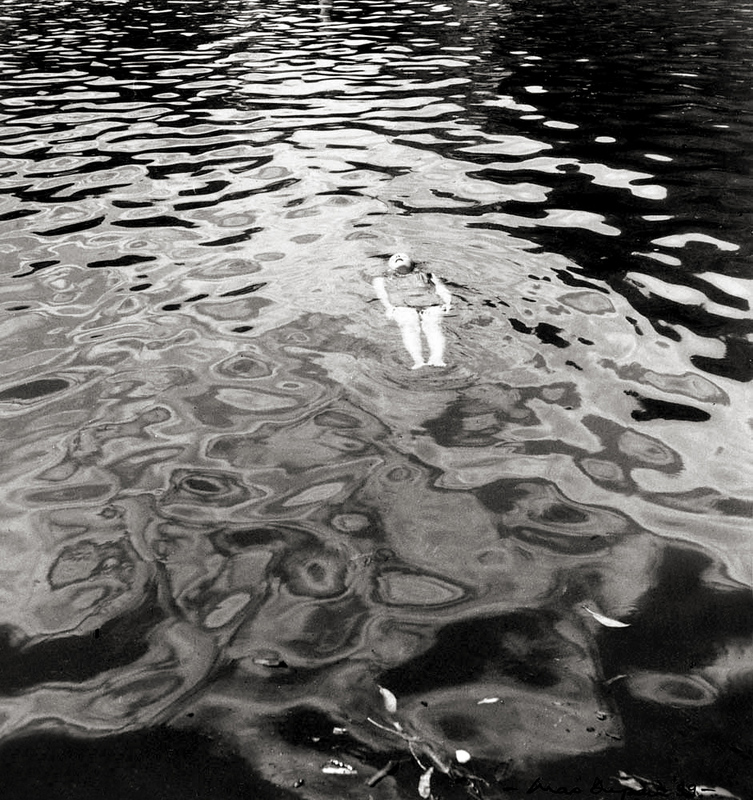 They demonstrate Dupain’s signature trait of combining the formal and social aspects of photography. 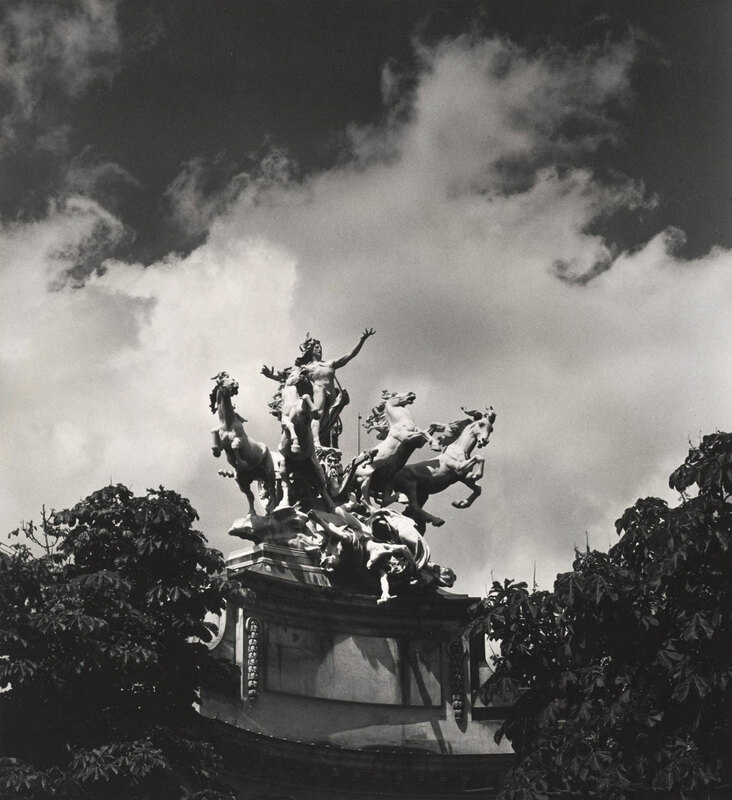 In some of the works, Dupain gives classical architecture the same reductive treatment he brought to modern buildings. 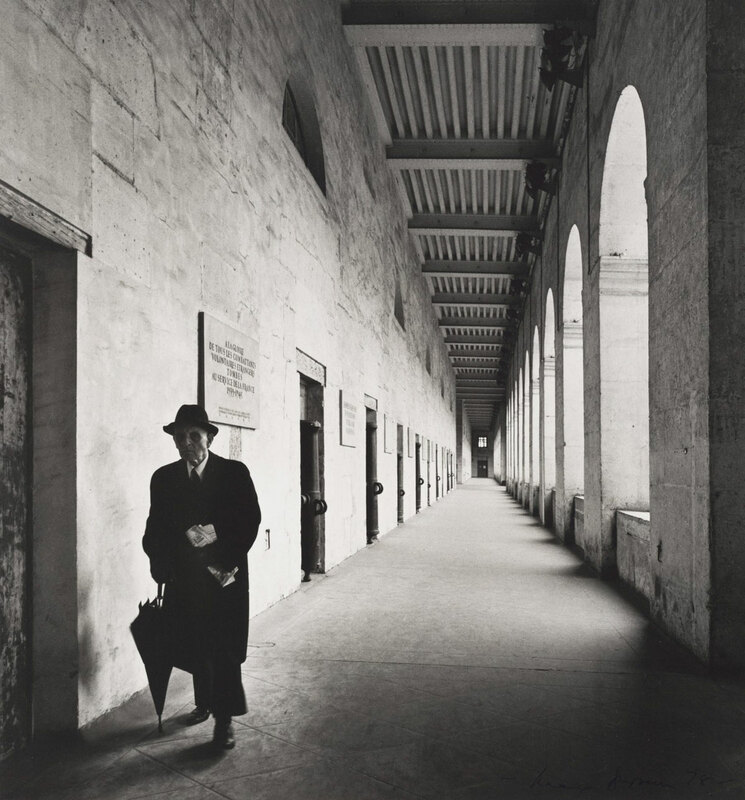 Stripped of embellishments, these photographs bring to the fore the essence of order, logic and harmony which lies at the core of classicism. 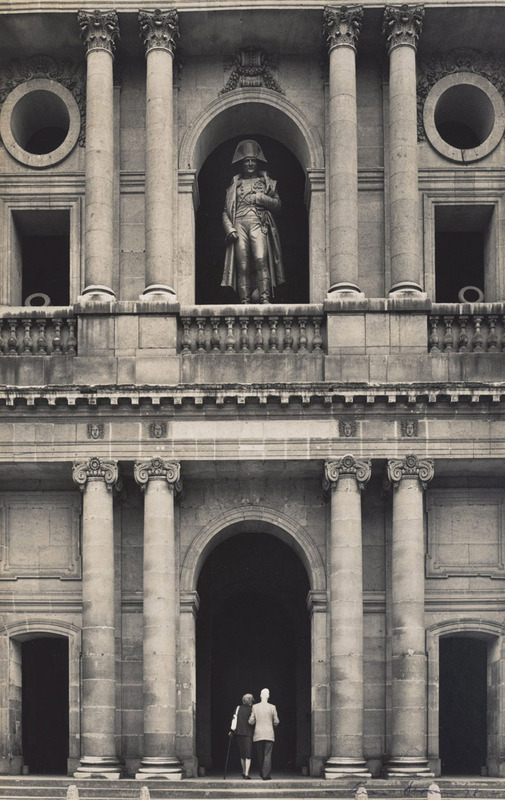 The presence of human figures in photographs such as that of Napoleon’s statue on the balcony of Les Invalides adds a dramatic element to the compositions. 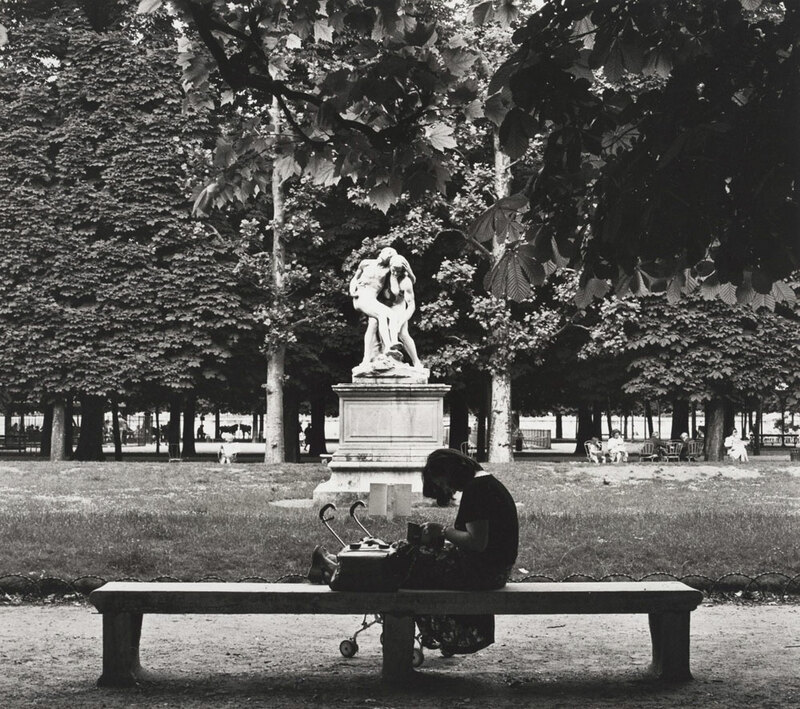 Dupain wanted “to extract every ounce of content from any exciting form and I want to give life to the inanimate.”2 Time and the built environment converge in this personal ode to Paris, manifesting the incessant flow of life and the connectedness of past with the present. 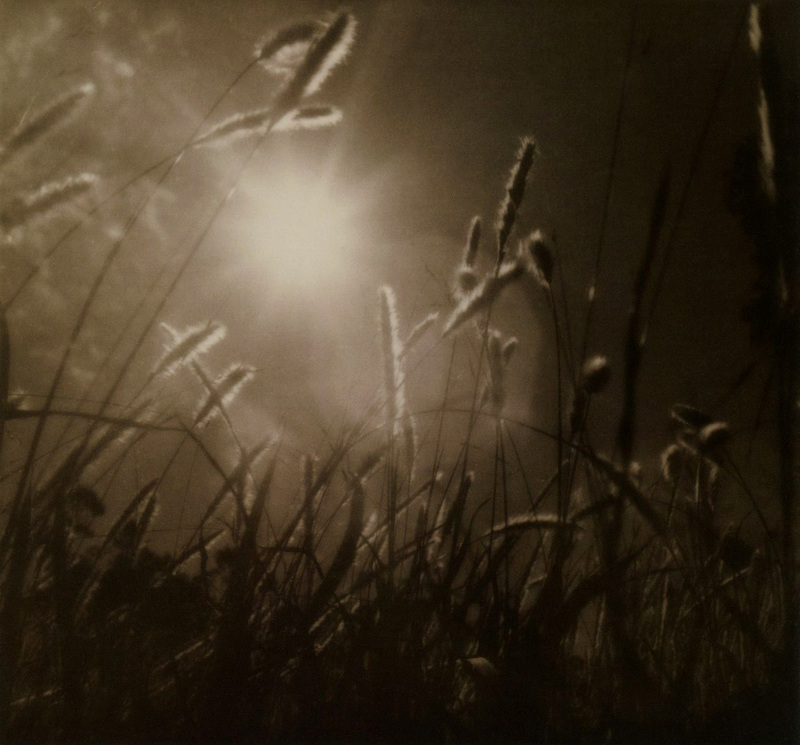 I owe you so much. 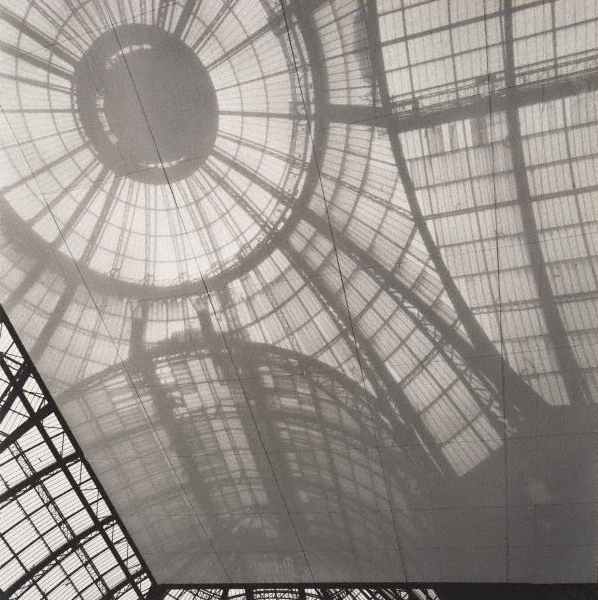 For nearly twenty five years I have dwelt on your philosophy of architecture. 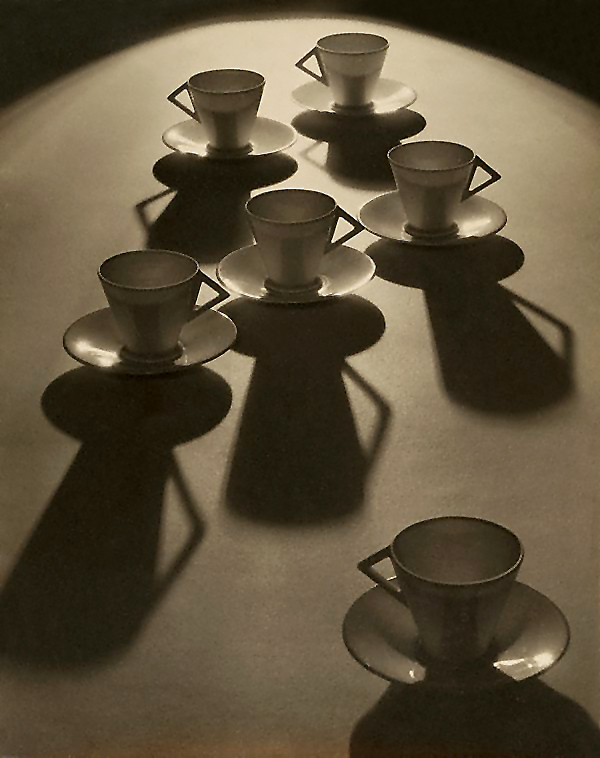 We register alike about clear thinking, logic of application, poetry of form etc etc. 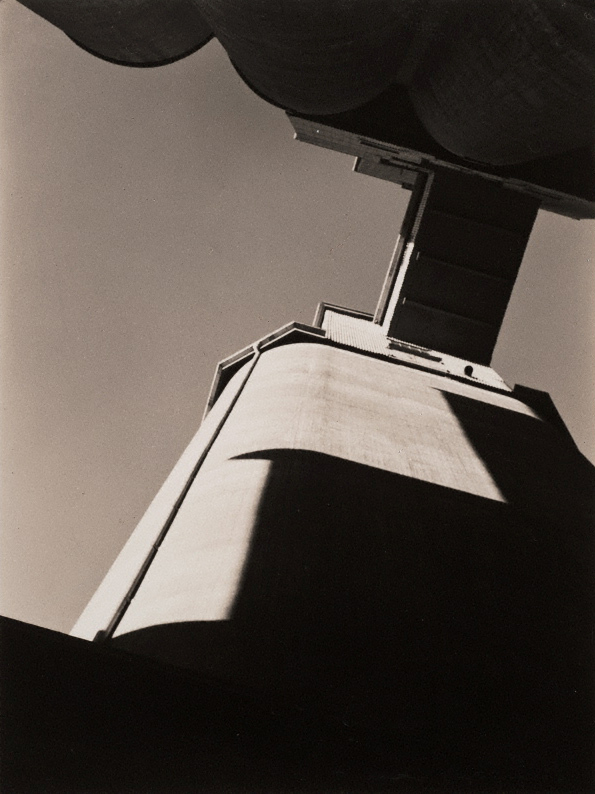 [sic] I have tremendous regard for architecture as a stabilising force in this turbulent society and I think my best work will ultimately show the significance of this by virtue of the photographed form thrown up by architecture and by engineering. 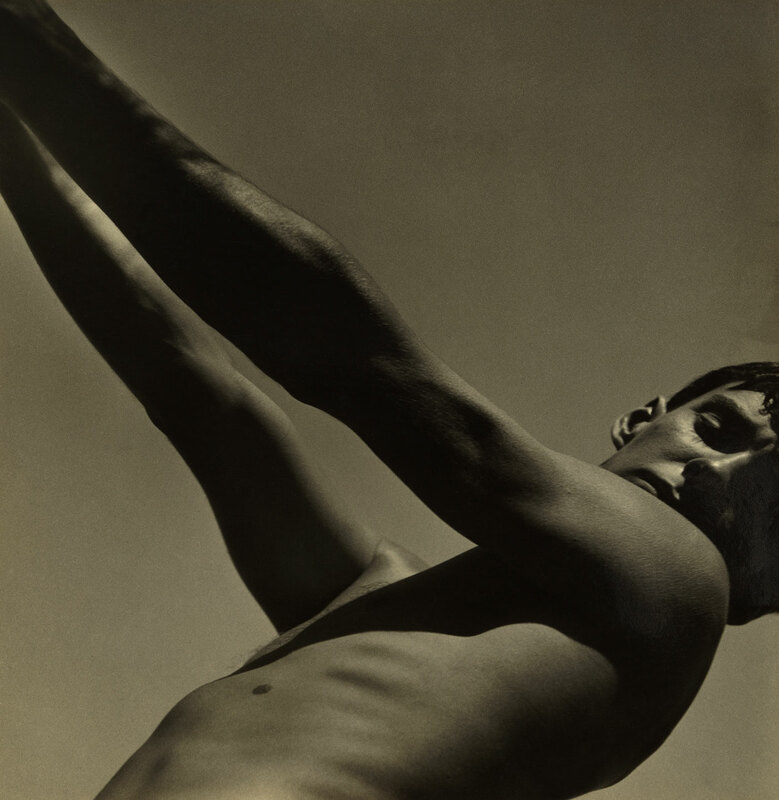 Dupain made the trip to Paris, his second outside Australia and his first to Europe, to accompany his long-time colleague and friend, Harry Seidler (1923-2006). 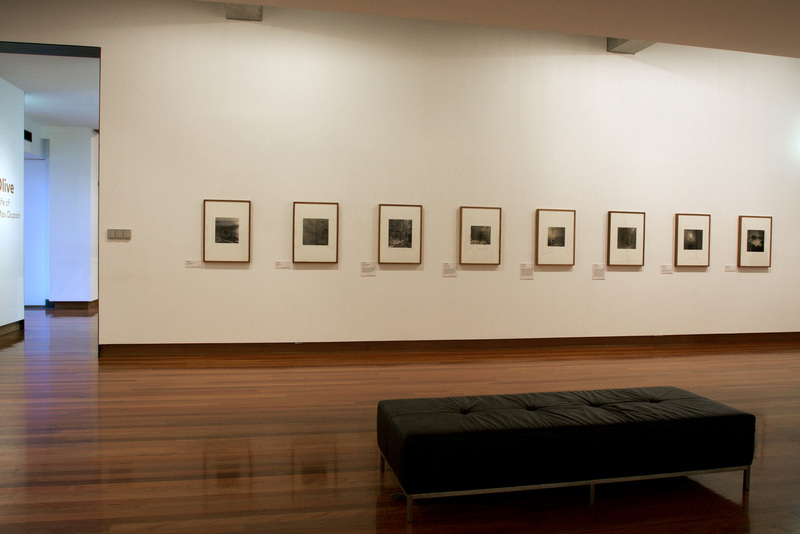 Dupain’s task was to photograph the Australian Embassy there, which Seidler had designed (completed 1977). 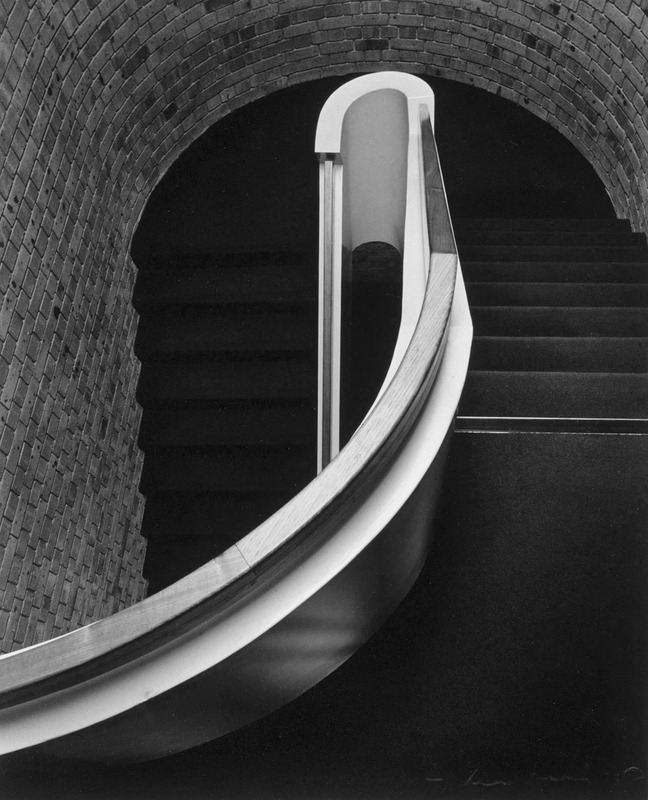 The pair were not only friends but shared a deep appreciation for form and light, for the modernist curves in space that can be created both architecturally and photographically. 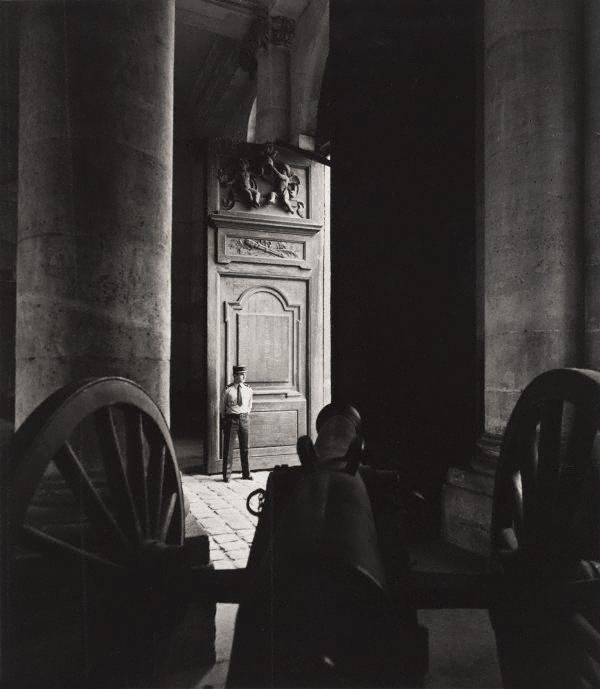 Dupain explored many monuments around Paris. 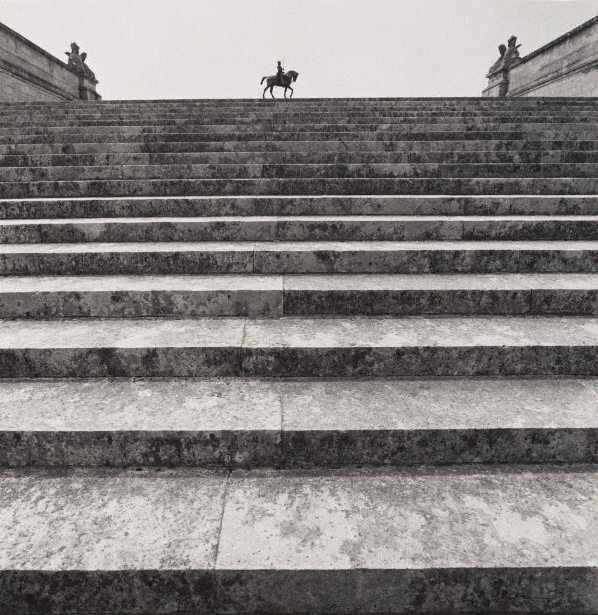 These impressions of a place he was seeing for the first time reveal his exploration of a new city and its sites, varying from formal compositions of photographic space, such as the image of Napoleon’s statue on the balcony of Les Invalides, to more personal or candid moments, as with the group of people captured beneath the Eiffel Tower. 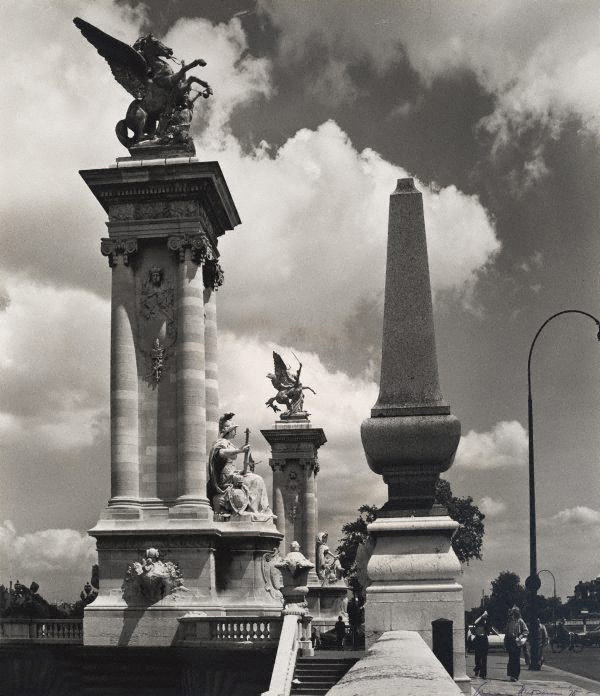 Many photographs depict 18th- and 19th-century landmarks such as the ornate Alexandre III bridge, the Grand Palais and Chantilly; the compilation offers a view of Paris and its environs shaped by layers of history, mythology and art. 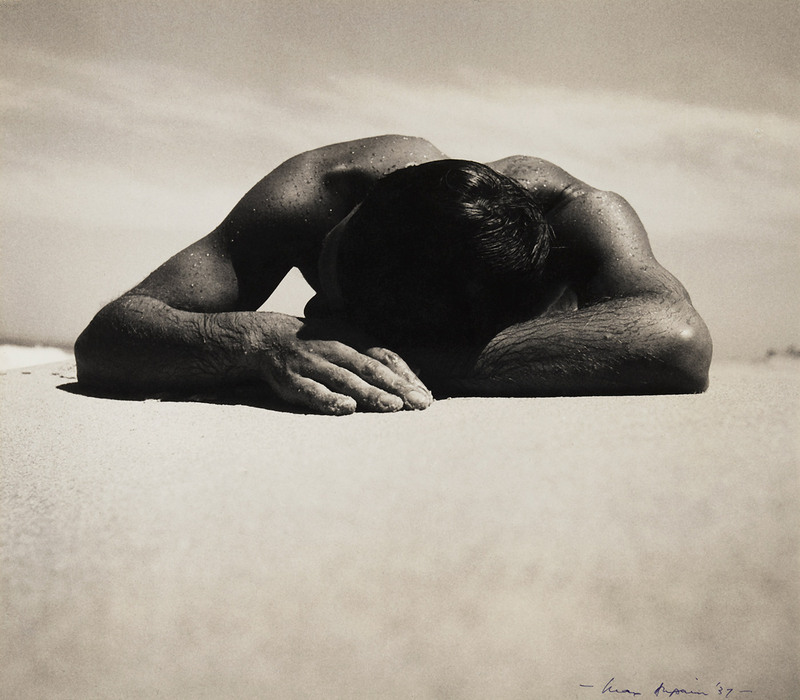 Despite the diversity of subject matter across the 21 images, Dupain always maintained his signature poise and rigour, appreciation of the way light interacts with the objects it touches, and attention to the composition of photographic space through a play of scale.